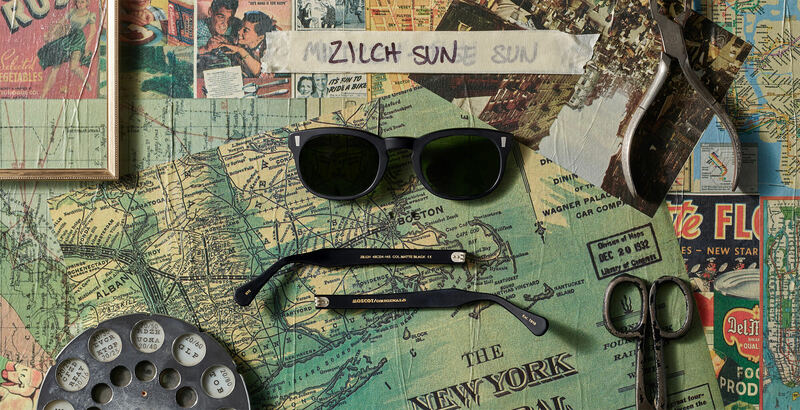 Premium quality eyewear you can trust, from the family who framed New York City. Literally. Our frames are quality controlled in our NYC labs and meet a rigorous standard of excellence. Dr. Harvey Moscot recommends ZEISS™ Premier for prescriptions higher than +/- 4.00 to ensure the thinnest lenses & most comfortable fit. Single vision lenses from ZEISS™. Experience excellent wearing comfort. Perfect for your first pair of glasses, or standard everyday glasses: ZEISS™ lenses are used for both distance vision and reading – the two most common reasons people wear glasses. What's the difference? These lenses are great for reading smaller font sizes on a smartphone or tablet. Unfortunately, the frame you've selected is out of stock. Model is wearing The ZILCH SUN in size 50 in Grey. "MOSCOT was among the first eyewear brands to dig into their family archives and develop new frames based on the stylish DNA of their heritage types."